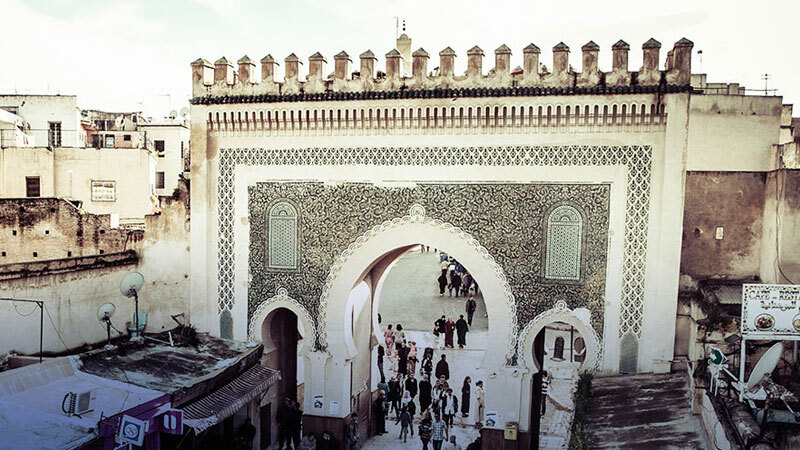 You won’t hear car horns at Fes el Bali. Instead you’re most likely to be warned ‘balak, balak’, which means a donkey is headed your way! 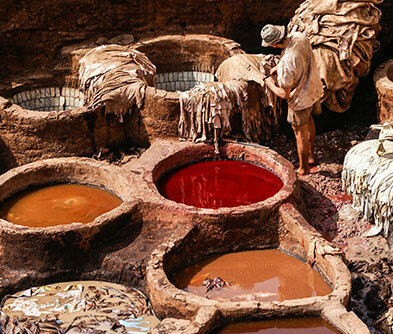 This UNESCO World Heritage Site serves up 1,300 years of Moroccan history in the neighbourhood of the Medina. Every cliché about laden donkeys, mischievous young boys, smiling merchants and kohl eyed beauties is a reality here. Modernity seems another port of call as you wander this warren of shops and stalls. The souks of Fes el Bali are justly famed for Zillij mosaic tile work, with pieces assembled right in front of your eyes by boys with dexterous fingers. A ramble in the right direction takes you to the carpets section which stocks gorgeous Kilims, Berber rugs and Imperial Arabian rugs. 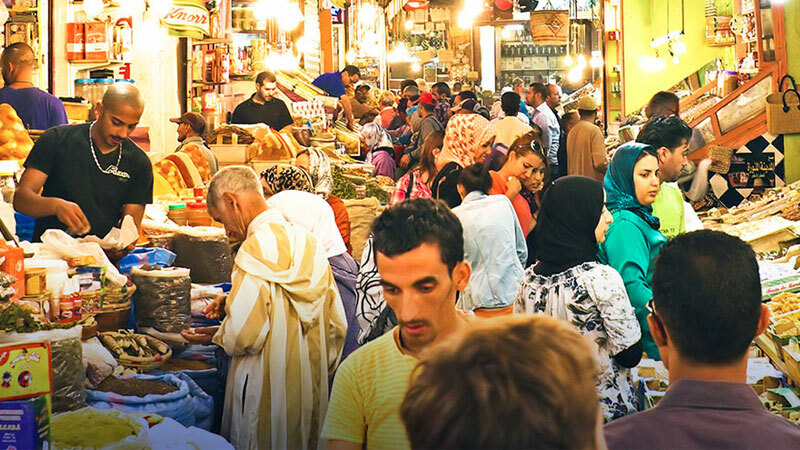 Take your time and a loaded wallet, for these souks sell everything – gold & silver, tableware, olives, figs, cheeses, confectionary, brocades & laces, drums, mirrors, lamps, swords etc. Bargain away or simply say ‘no, shukran’ if you have the will power! If a certain odour starts bothering you, it’s fine. 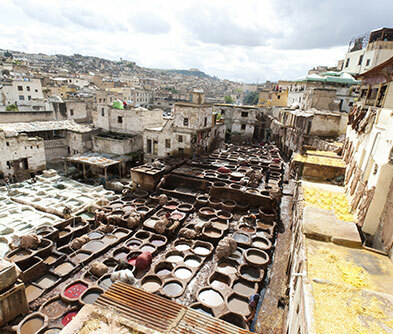 Fes is notorious for its pavement tanneries, where animal skin is treated in huge clay pots, dried and crafted into impeccable leather products. Add that to your shopping cart without fail. 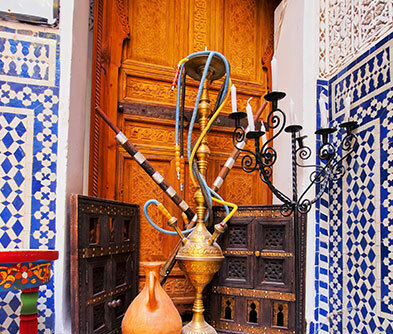 Since your legs are the only means of transport here, refuel at one of the many Moroccan restaurants. Sip mint tea or Harrira (soup) or dig straight into couscous and tagine.